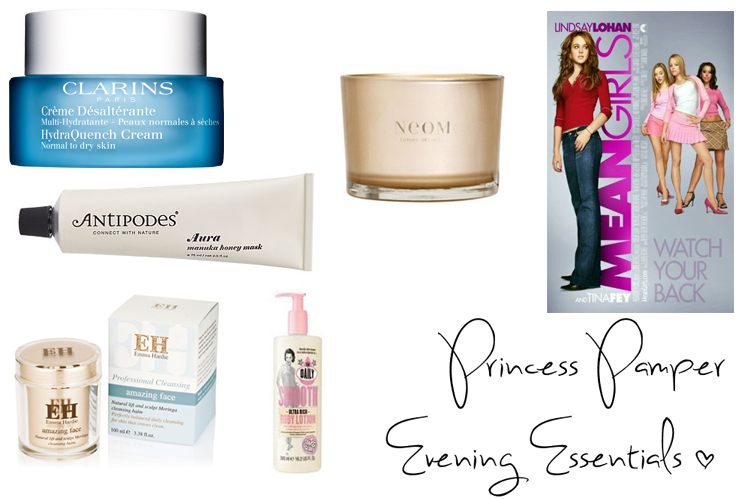 Princess Pamper Evening Essentials - What Would Kate Do? Kate has a busy life; what with juggling Royal engagements with being a new mother, and will sometimes get stressed and feel run down at the end of the day. We too feel like this sometimes, juggling our jobs with our social lives, and seemingly making time for everyone else but ourselves. Taking some time out for ourselves and pampering our mind, body, and spirit like a Princess, will help you to relax, think about things, and regain some much needed energy again. The first thing I do when I think about relaxing for the evening is to light a candle and create some ambience around the house. Choose your favourite scents, light a few, and dim the lights slightly, and take in the wonderful smells. The next thing I do is remove all of my make up, and thoroughly wash my face. Using a couple of luxury products will make all the difference and it’s come to the point in my life where I look forward to washing my face. Cleansing balms are particularly nourishing for all skin types and I love the Emma Hardie Moringa Cleansing Balm, which turns into this luxurious oil when massaged in and takes off every last scrap of make up. Then I start to run a hot, deep bath, adding in my favourite bath oil or bubble bath, popping on a face mask while the bath is running. At the moment, my face mask of choice is the Antipodes Aura Manuka Honey Mask which you can leave on for fifteen minutes, an hour, or even overnight for a deeper treatment; it’s super moisturising and will add in tons of hydration to the skin. I turn on some relaxing music, grab one of the candles, pick up my current book, and let the day and any worries soak away. Post bath, I slap on layer upon layer of my favourite body butter or moisturiser and let it sink in. I pay special attention to my feet and cover up with some fluffy socks to keep all the moisture in and look after any cracked or dry heels. I gently wash off the mask, and pop on a thick layer of moisturiser. I wrap up in my favourite pyjamas and dressing gown, before digging out a good film to pop on and delve into a different reality with. Instead of putting lots of chocolate and crisps out for me to eat, I chop up some fruits and pour a mug of green tea, and a pint of water, to put some real goodness in my body. The last thing is to hop into bed and nod off to sleep. Getting at least eight hours will make sure all of your pampering hasn’t gone to waste and you’ll wake up fresh and ready to face the day, energised and awake. What are your pamper evening essentials?